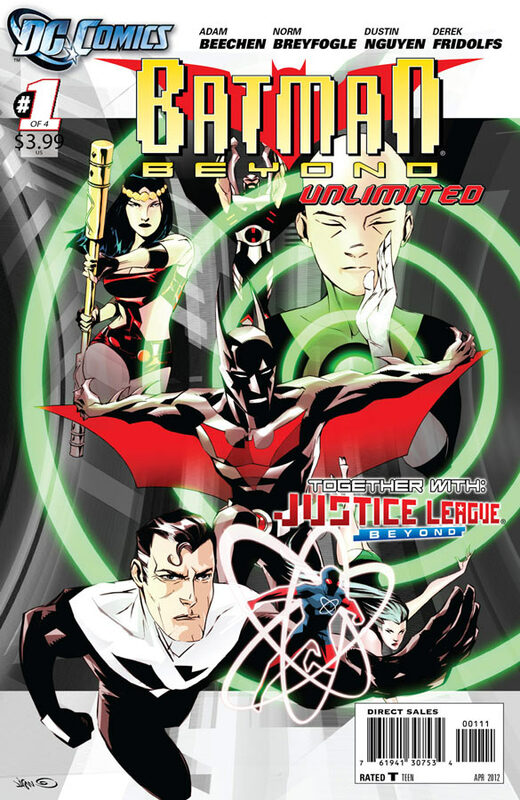 A new era begins with the debut of the oversized, monthly BATMAN BEYOND UNLIMITED, featuring the print debut of the new Justice League Beyond! 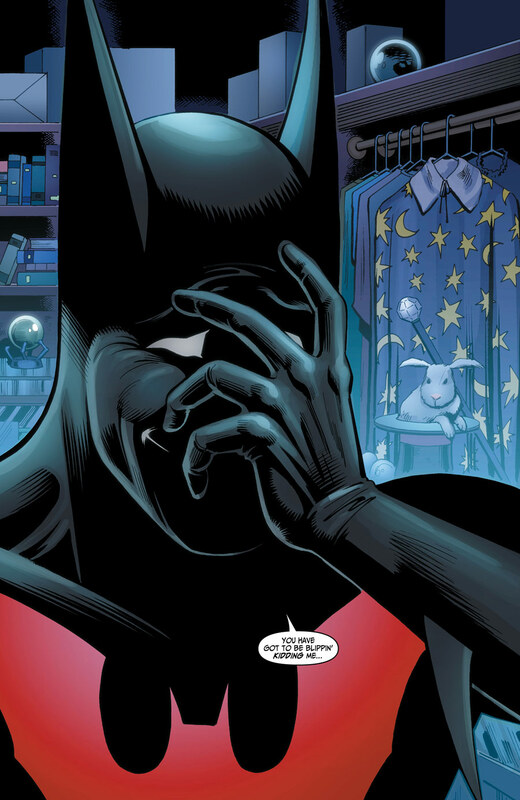 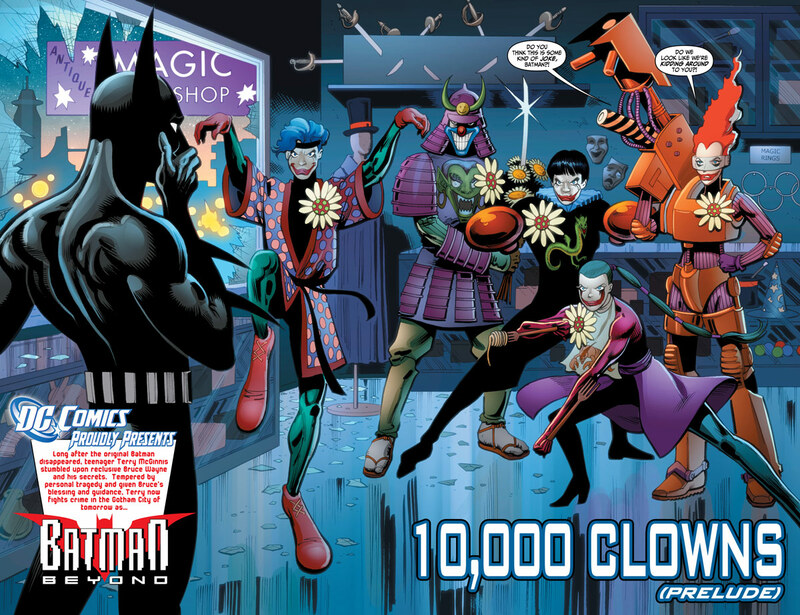 In the Batman Beyond chapter, legendary Batman artist Norm Breyfogle returns to draw the Dark Knight of the future with best-selling writer Adam Beechen. 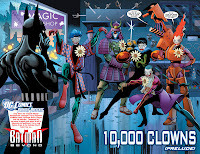 In “10,000 Clowns,” an onslaught of new Jokerz is plaguing Gotham City – and the implications of this chaotic clown menace could have disastrous consequences for Terry McGinnis and Bruce Wayne! 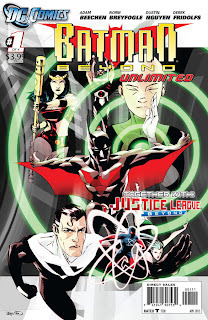 And the debut of the Justice League Beyond is here, courtesy of the BATMAN: STREETS OF GOTHAM art team of Dustin Nguyen and Derek Fridolfs, as the first two digital-first chapters are available in print for the first time! 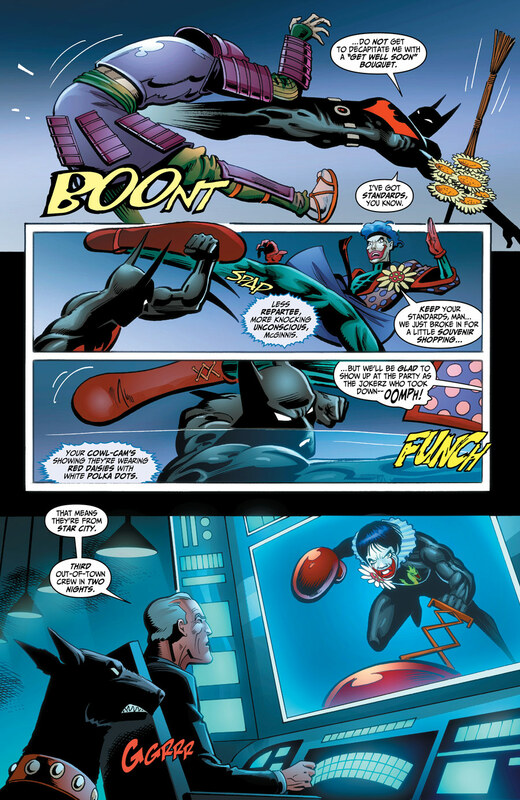 Batman Beyond is a new recruit in the mighty Justice League, but the team will be immediately tested by a very Neo Gotham-related enemy! 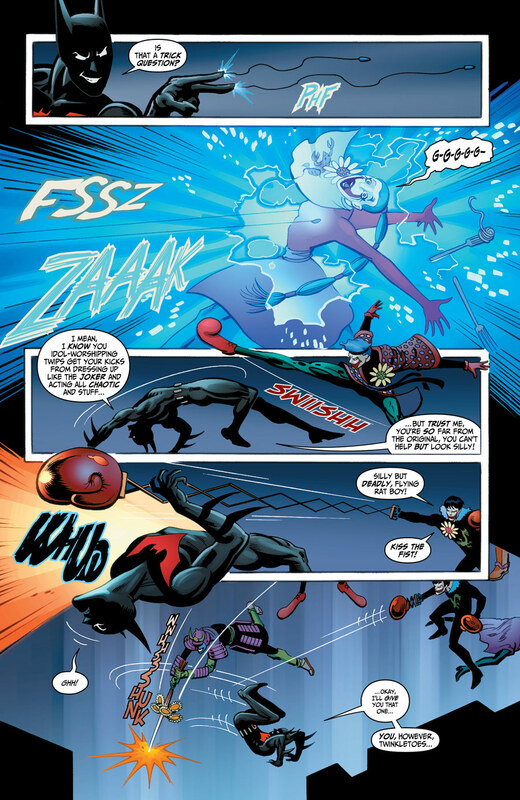 How will the team work together to combat this threat?